SleepOvation Hybrid Mattress Review - Revolutionary Design, Or Gimmick? The SleepOvation 700 Tiny Mattresses in One has a unique design that utilizes unparalleled technology featuring hundreds of cushions which are sealed independently and attached to its own pocket spring. There is a good reason why sleep is called the best beauty regimen. Sleep is your body’s natural way to replenish and regenerate cells. It’s no wonder why having a poor sleep will have an incredibly negative effect not only on your mood and your health – but also the way you look. Having a good mattress that offers you the right comfort is crucial to help you achieve the much-needed benefits of a restful sleep at night. 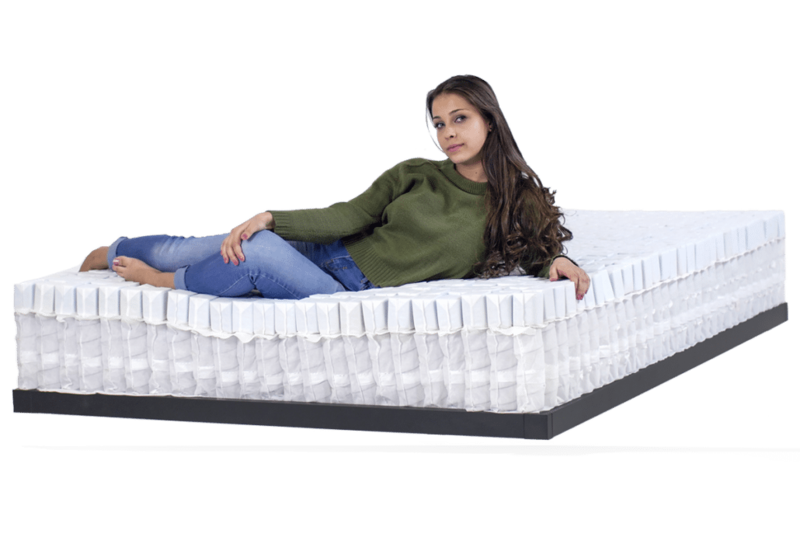 And, if you are looking for the best value mattress engineered for personalized comfort, top-tier spine support and improved health, the SleepOvation 700 Tiny Mattresses is the latest revolutionary mattress design that can offer you all this and more. A product of the creative efforts of experienced team of sleep scientists and engineers, the SleepOvation 700 Tiny Mattresses in One is the mattress of the future. Inspired by the idea of making innovative change in the bedding industry, the mattress was born two years ago and was launched in 2017. The SleepOvation 700 Tiny Mattresses in One has a unique design that utilizes unparalleled technology featuring hundreds of cushions which are sealed independently and attached to its own pocket spring. For this high-tech mattress feature, the company has received a patent grant from the US Patent and Trademark Office. The SleepOvation facility is based in East Hanover New Jersey. Made from 100% USA made resources, the one of its kind cushion pocket spring design has been proven to provide better body weight distribution that is helpful for those suffering from back pains and promote comfortable and restful sleep. Try SleepOvation and experience how it can help improve your sleep experience, and ultimately change your life. You’ll be delighted to know that SleepOvation is offering 100% free shipping within the contiguous United States. If you are located in Alaska, Canada, or Hawaii, the shipping fee costs $180.00. 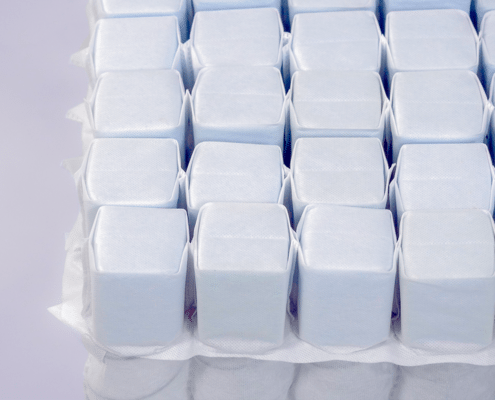 Upon shipping, the mattress will be compressed and rolled in a protective plastic casing. Your mattress will then be boxed and delivered right to your door within 1 to 3 business days. Setting up the SleepOvation 700 Tiny Mattresses in One is so easy. You’ll simply need to unpack your new mattress from the box in your bedroom. 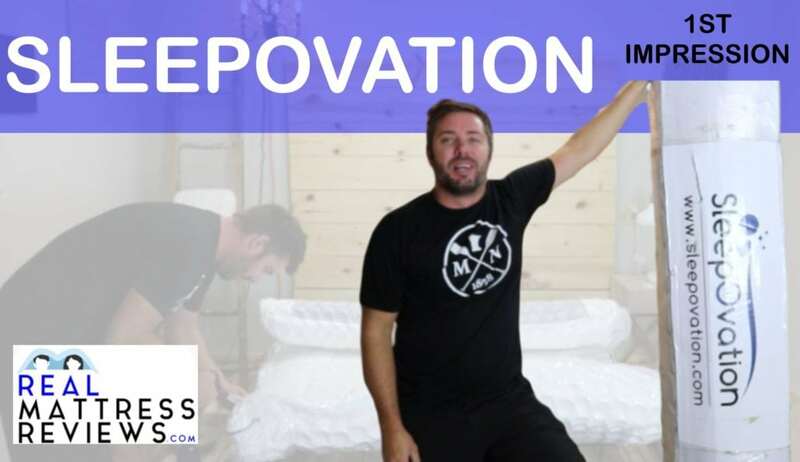 Position the mattress on your bed (or any solid foundation you want) and remove the plastic cover. 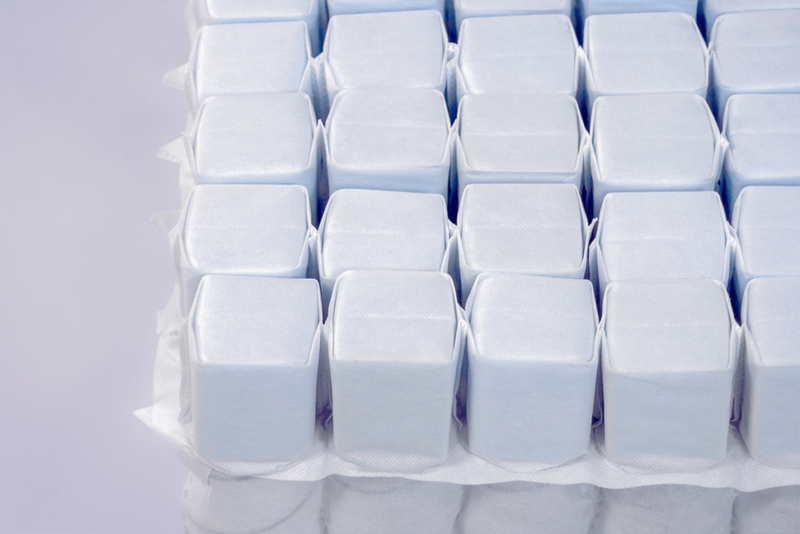 Then, tear away the inner plastic wrapper to unroll and unfold the mattress. Understandably, as the mattress is shipped in a box, the memory foam will tend to condense and its size shrinks. But just let your new mattress sit for a few minutes and watch the mattress expand. Remarkably, with its ingenious springs, the SleepOvation mattress bounces into shape pretty much quickly. Once your new mattress is completely setup, prepare yourself for a plush level of comfort and experience superb spine support. 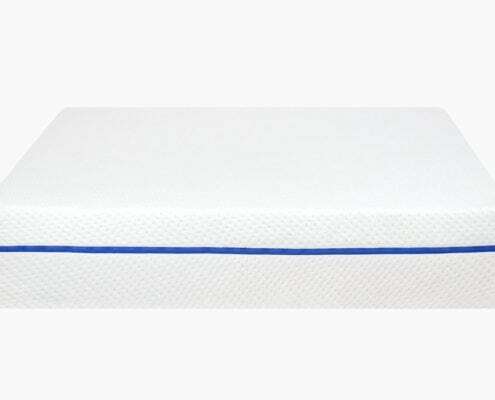 Replacing the orthodox layered sheet foam, this mattress highlights patented independent cushion pocket springs. 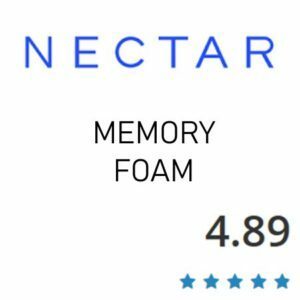 The separate memory foams from the cushion pockets also known as tiny mattresses present unmatched advantage in providing support by distributing body weight effectively. Wake up from a cool refreshing sleep. The SleepOvation’s mattress intuitive individual cushions design creates air channels that promote active airflow distribution within the mattresses. This helps maintain cool temperatures to make way for a breezy and rejuvenating night’s slumber. One-off Specially Designed Mattress Cover. 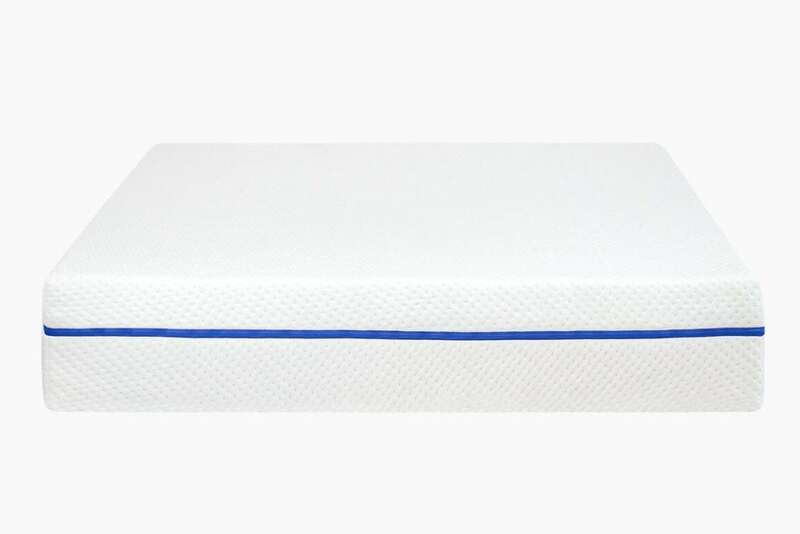 Made with elastane and stretch knit polyester, the SleepOvation mattress comes with a quilted internal mattress cover that is uniquely designed for a more plush level of comfort. To match the engineered tiny mattresses, the cover is designed with miniature cushion pads which help promote airflow for a cool sleep. Superior back pain relief structural design. 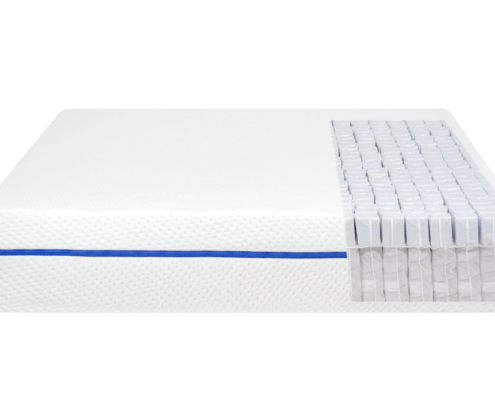 Instead of the traditional layered foam, SleepOvation utilizes separate memory foam pads that allow better body weight distribution which can radically relieve back pain and discomfort. 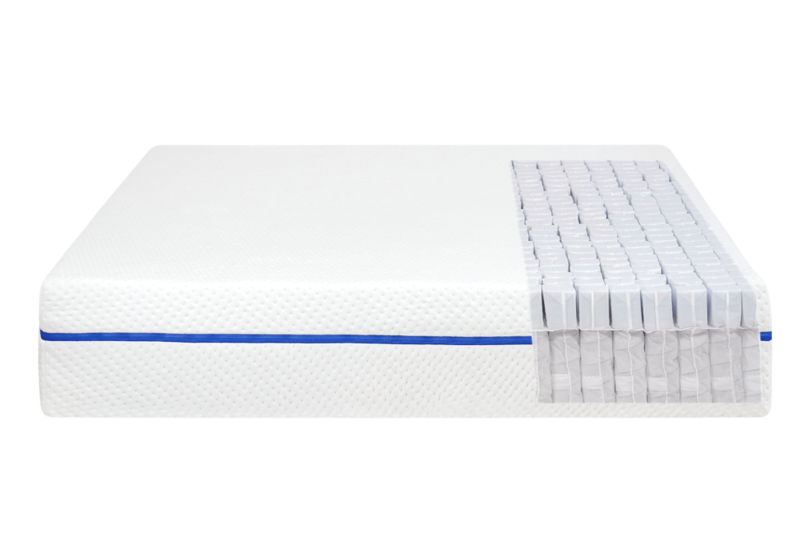 The mattress design ensures absolute spine support that reacts variably according to the user’s shape and size. Great mattress with unparalleled degree of cleanliness. The mattress comes with removable cover you can simply throw into wash once you feel it needs cleaning. Simultaneously, you can vacuum between the independently sealed cushion pockets to get rid of dust, bacteria, dead skin cells and germs you probably are not expecting to be sleeping with you in your bed. Dealing with extra sensitivity and allergies? You will love the SleepOvation mattress for its superior hygienic design. It has an easy zip-off mattress cover feature and the individual cushion pockets allow thorough foam cleaning to keep the allergens at bay. The SleepOvation mattress is compatible with any adjustable bed frames. 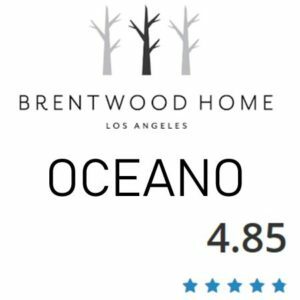 It works well in various solid platforms, board on box springs and most other solid bases. If you want a mattress that is very soft. Generally, each of us will have a different level of comfort preference. The SleepOvation mattress is essentially formulated to provide back relief and it may fall into the firmer side. But then again, it’s meant to promote healthier posture and spine health. If you opt for a mattress which can give you posh softness then you may not like the feel of this mattress. Ultimately, the SleepOvation mattress is designed with the right support and comfort suitable for distinct body types in mind and its firmness tend to be on the stiffer side. If you have a very particular sense of smell, be aware that the new mattress may give off a slight odor which to be fair is normal for most newly-purchased mattress. 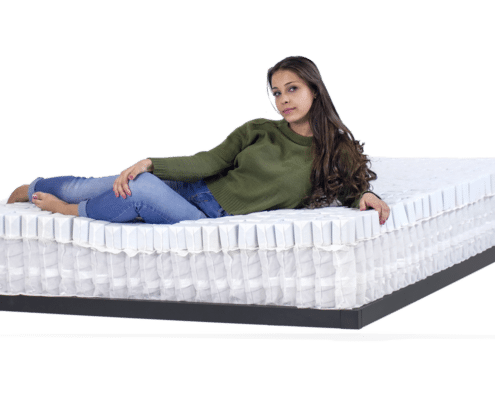 However SleepOvation mattress is made in the US and utilizes only CertiPur certified foams hence this odor is non-toxic and will vanish quickly. You’ll simply have to allow the mattress to sit in a well-ventilated room for a considerable amount of time. If the price intimidates you. Price-wise the SleepOvation mattress comes with a price tag that may be relatively slightly higher compared to some mattress brands. Of course, there are still other mattresses that come with sky-rocketing prices but none of them can guarantee you the same level of spine support and comfort that this mattress offers. The good news though is that the company offers a flexible financing option that allows you to slice your payments instead of having to directly pay the rice in full. All in all, sleep is your best health investment and health is wealth. So, with the mattress quality you get, this mattress is truly worth its price. This mattress is designed to be plush in order to provide high levels of comfort, while also offering great support and pressure relief. Generally speaking on a standard firmness scale of 1 to 10 (with 1 being soft and plush, and 10 being firm), the Sleepovation mattress is about a 5.5-6 , making it a great medium feel. The top comfort layer is comprised of independent “mattresses” This makes it a really great choice for anyone who sleeps on their side, because it will provide great pressure relief for your hips and back. It might also work well for anyone who sleeps on their back but wants a softer and more plush sleeping experience. 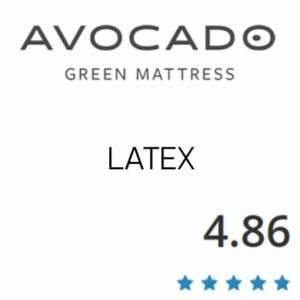 This mattress should be a good choice for combination sleepers of most weights. People over 300lbs may like something firmer. This mattress is an excellent choice if you want something that will minimize motion transference (the phenomena where movement on one portion of the mattress causes vibrations that spread throughout the rest of the mattress, potentially disturbing your sleeping partner). This is because the Sleepovations innovative design pairing independent coils with independent foam squares for the comfort layer, most (if not all) vibrations caused by movement will be easily absorbed, minimizing motion transference and helping to make sure that no one’s sleep will be disturbed, even if someone shifts position or gets into our out of bed in the middle of the night. When you fist unpack and unwrap your mattress, you may notice a slightly strange odor. This is a completely normal occurrence, and nothing to be alarmed about; the smell is a normal byproduct of the compression and shipping process. In any case, the odor will disperse during the few hours it takes for your mattress to expand into its full size and shape, so it should be fine to use after that. That being said, if you are extremely sensitive to the smell, it’s recommended you wait twelve hours or so until you are certain that the odor has dissipated. The Sleepovations coil unit comes all the way to the edges of the mattress. In the laying down position you do not have any issues feeling like you are going to roll off the mattress. Ensuring you can use the entire sleeping surface without feeling like you are being ejected. The SleepOvation 700 Tiny Mattresses in One uses cutting-edge technology and design that is unique in today’s bed market. Basically, the mattress is comprised of premiere materials high density hybrid 3 inches foam encased in individualized fabric pocket. This cushion pocket is then attached into top-quality spring coils to complete the miniature mattresses. About 700 tiny mattresses are then combined to produce a mattress that’s designed to provide exceptional support and comfort for the best restful night’s sleep. The separate cushion pockets also offer an added benefit of breathability as it encourages dynamic airflow to maintain the mattress cool temperature. Lastly, the tiny mattresses are wrapped in a washable quilted fire cap. The mattress cover is also crafted uniquely so you can get the most out of the 700 tiny mattresses technology. The cover comes in a zippered removable cover. It features a specialized knit cover with engineered air channels. This mattress cover eliminates your need to use an external mattress cover and not only does it encourages air flow but it also provides additional level of comfort to the mattress. Sleepovation is wrapped in a washable quilted fire cap. The mattress cover is also crafted uniquely so you can get the most out of the 700 tiny mattresses technology. The cover comes in a zippered removable cover. It features a specialized knit cover with engineered air channels. This mattress cover eliminates your need to use an external mattress cover and not only does it encourages air flow but it also provides additional level of comfort to the mattress. The Sleepovation will work great on any solid surface. The floor, platform slats, boxspring/foundation and they now offer an adjustable base as well. The Sleepovation’s design creates channels on the top comfort layers. This paired with a coil unit allow for excellent airflow and cooling. That being said, if you do tend to have problems with overheating at night, you may want to consider a firmer mattress option, or something with a spring core; this is because the Venus mattress is still made entirely out of foam, and while it is designed to provide better temperature regulation there will always remain the potential for some heat retention depending upon your individual circumstances and sleeping situation. The Sleepovation will work great on an adjustable base. $250 OFF with our link! SleepOvation provides a unique 10-year limited mattress warranty which not many mattress companies offer. Under this warranty, should you find a defect 10 years after you purchased the new mattress, Sleepovation will replace the mattress or do the repair needed at no cost to you. This warranty covers all parts of the mattress determined to have a defect. The specific defects covered by the warranty include deterioration of the mattress that resulted in a visible indentation greater than one inch, permanent damage to the springs and foam despite normal handling and appropriate setup due to physical flaw in the craftsmanship of the mattress and physical defects in the craftsmanship of the cover which also includes the zipper and seams assembly. With this warranty, Sleepovation can guarantee that the mattress you purchase is genuinely made with premier materials, excellent craftsmanship and is free from any physical flaws. $250 OFF with our link.